If you do not want to do a digital book tour, yet would like to reach out to Bloggers and spread the word about your book and increase visibility, you can opt for the Bloggers Outreach Program, where I reach out to bloggers for Reviews / Interviews / Guest Posts / Giveaways. It will be done according to the Blogger's interest and time frame. I will approach Bloggers, co-ordinate all posts and promote the posts. As a Virtual Assistant I can provide you with the services of BOP along with managing your social media accounts. Have something else on your mind? Not a problem! Mail me and we will work them out together! Can you give me more info on your release day blitz etc as I have an upcoming novel that will need some publicity. I checked out your blog but couldn't find your email id to drop in the details. 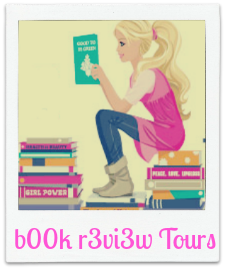 Could you please drop me a mail at : bookreviewtours(at)gmail(dot)com ? I have dropped you a mail! Thanks for stopping by & showing interest in b00k r3vi3w Tours. I have sent you an email! I released my book, Sunset Reads:William & Cristina, a few months ago and I wanted to promote it more. I would like to get more information on your review tour and your book blast is possible.My email is dctriana82@gmail.com. Thank You for stopping by & showing interest in b00k r3vi3w Tours. I have sent you an email! Hi Debdatta, or Mr. Sahay! I'm Deblina, an author from Kolkata, India! I'm interested in your services for my upcoming release, so I dropped you an email. I just want to take a moment and congratulate and praise you for the creation of this online book tour company. It's not as common in India as it is abroad, and it truly pleases me to see such a well-run blog tour coordinator here in our motherland! Look forward to working with you!